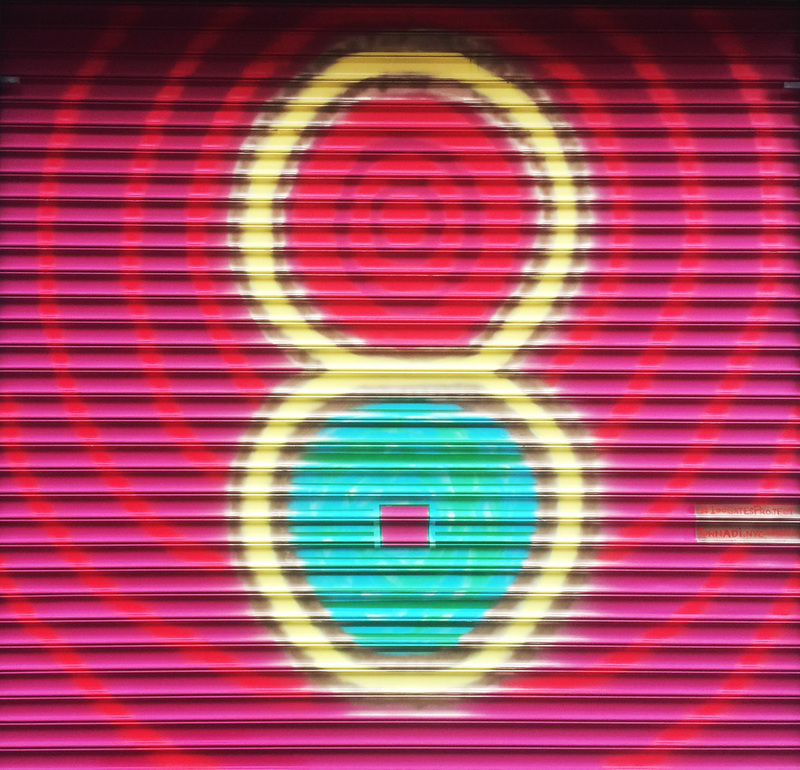 < Name > "Lucky 8"
The "Lucky 8" mural was part of the Lower East Side 100 GATES Project to beautify the local Manhattan neighborhood. The mural covers the gate for the Chinese American Ao Jiang Village Association, Inc. on Broome Street. Several mural elements reflect Chinese cultural beliefs such as: 8 as a lucky number, red, yellow, gold and jade as lucky colors. The red circular waves were added to signify both ripples in the water and sound waves to add movement and layers.